Manchester United fans complained about Jose Mourinho a lot, but stats like this one put his Premier League career into perspective a little more. According to Opta’s Duncan Alexander in the tweet below, Man Utd interim boss Ole Gunnar Solskjaer has already lost as many league matches against Arsenal as his predecessor ever managed. Yes, Mourinho had his failings, but he sure knew how to get the big games right, and made Arsene Wenger his whipping boy in particular for many years at both United and previous club Chelsea. 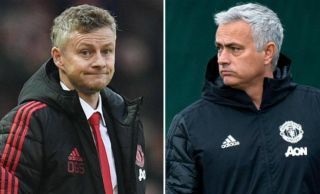 Solskjaer, of course, won very impressively at the Emirates Stadium in the FA Cup earlier this season, but his unbeaten record in the league came to an end today as the Red Devils lost 2-0 in north London. Goals from Granit Xhaka and Pierre-Emerick Aubameyang did the job for Unai Emery’s side, who have looked stronger against the big six this season than they did in their final campaign under Arsene Wenger. Still, it’s some reminder of how special Mourinho was that it took him that long to lose to Arsenal, whereas an impressive young manager like Solskjaer has done so on the first attempt, at least in the league.